TJ’s Technicians bring more than 40 year combined experience in Motor home, 5th Wheel and Travel Trailers. Let us put our experience to work for you! If it’s a Motor Coach or RV and not engine or chassis; “We Do That! Sorry, we do not do Chassis work. This includes engine, drive train, axles & tires. Preventative Maintenance – The Only Way to Prevent Water Damage! 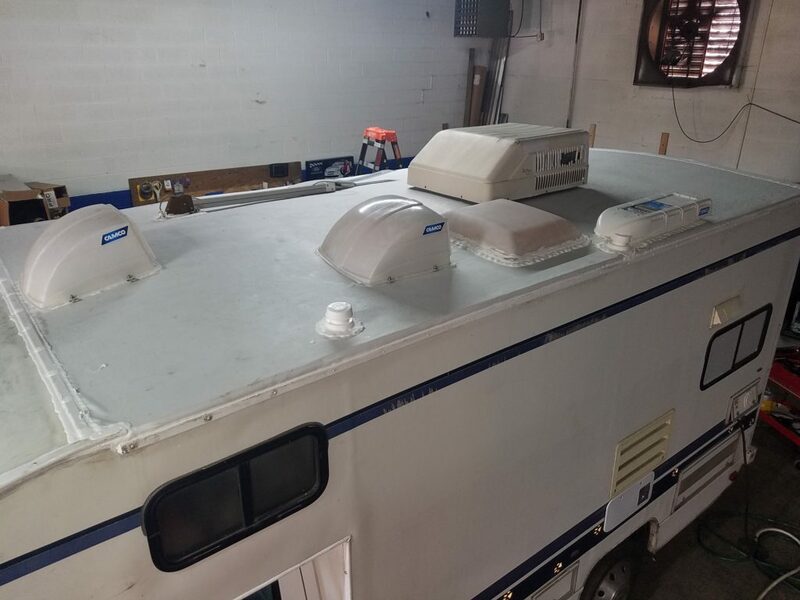 Water damage is one of the most expensive repairs on an RV. Even the smallest crack can let in gallons of water over time. Water leaks saturate the space between roof and ceiling and often find it’s way into walls saturating the insulation and wood along the way. Wood decay accelerates and if not detected early, mold is inevitable. The ultimate price is the one you pay when it comes time to sell. 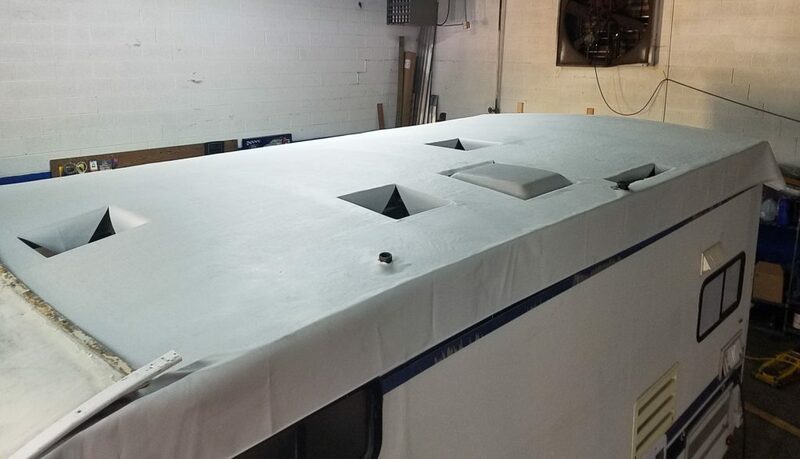 Don’t let a water leak destroy your RV. Come to TJ’s for your annual roof inspection. We will inspect the roof, spot seal as needed and install the proper sealants to help extend the life of your roof. Proper maintenance is the key to keeping your roof leak and hassle free!